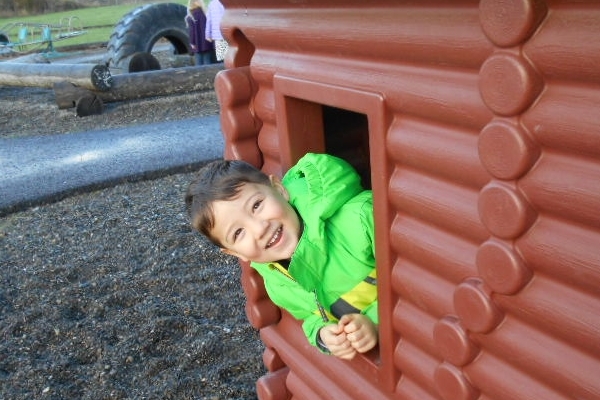 Our preschool is a place to experience all the joys that come from early learning. My classroom is a comfortable, nurturing, safe environment where the love for Jesus and for one another is top priority. My Masters in Teaching courses focused on implementing the arts into all areas of learning, so, in our room, music, visual arts, drama, movement, storytelling and language arts are put to use daily. 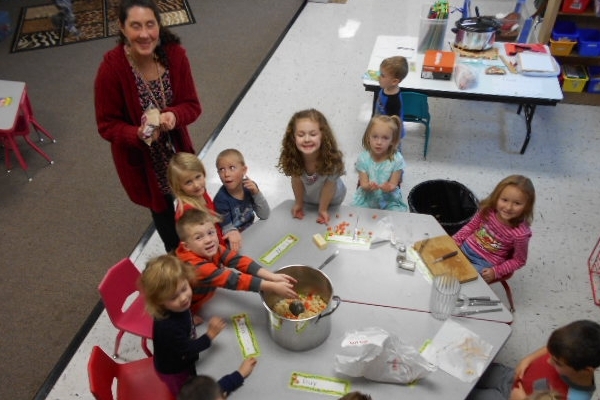 It is a priority to prepare our students for the next step in their education which is kindergarten, so kindergarten readiness is one of our main goals throughout the year. In order to best prepare our preschoolers for kindergarten I partner with parents and families guiding and nurturing each student in the ways they learn best. This is accomplished by setting personalized goals for each child and arranging classroom activities and lessons to build on for success. 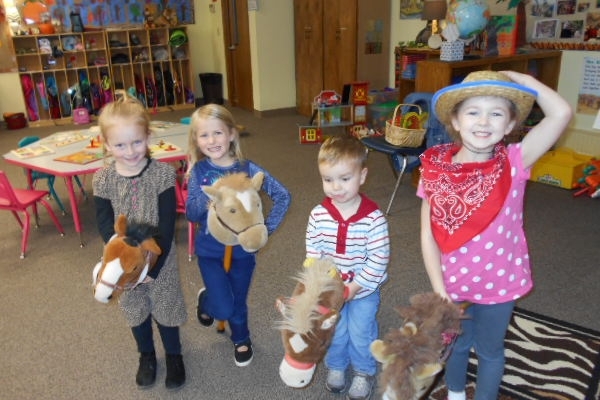 Areas of learning that our preschoolers enjoy are, pre-reading and literacy skills, Bible, math, science, social studies, social skills, cooking, journaling and pre-writing skills, large motor activities, geography, the arts and play to learn activities. To engage students in learning I use many different puppets, flannel board stories, songs, and hands on activities in my daily lessons. 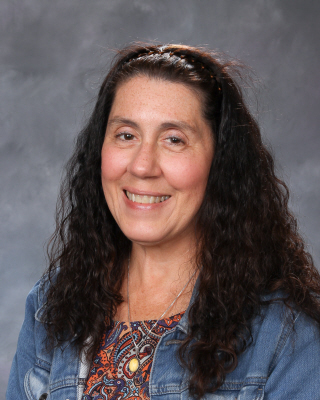 It is my personal goal to build a caring and lasting relationship with each of my students that will instill in their hearts a love for lifelong learning. 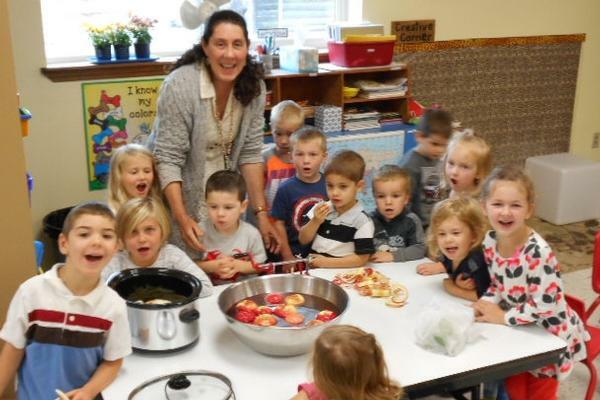 September: Apple Day, making apple sauce! Corn husking and eating! 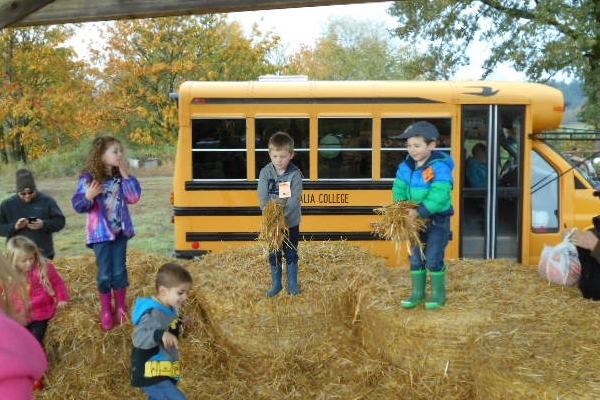 October: Pumpkin Patch field trip! November: Fire Prevention Study with a visit from Sparky and friends! Thanksgiving feast. December: Christmas brunch for family and friends. All school Christmas Program. January: Build a wooden structure for an art show. February: Valentine Exchange. Chinese New Year Celebration! March: Grandparent "Share a Hobby" Day. April: Petting Zoo. Make a project to enter at the Spring Youth Fair. May: Muffins with Mom. Flower show. Kids Concert! June: Donuts with Dad, Dads come to Preschool. Preschool Graduation Celebration at Riverside Park.